Transportation and logistics company J B Hunt Transport Services Inc (NASDAQ: JBHT) reported Monday with a top- and bottom-line miss in the first quarter — results that have Morgan Stanley questioning whether they represent a "reality check" for the transportation sector. Morgan Stanley's Ravi Shanker maintained an Equal-weight rating on JB Hunt Transport Services with a price target lowered from $105 to $95. 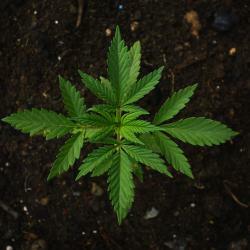 Raymond James' Patrick Tyler Brown maintained at Market Perform. Stifel's David Ross maintained at Hold with a price target lowered from $115 to $107. JB Hunt's first-quarter report fell short of expectations across every segment, with notable weakness in the JBI segment (Intermodal), Shanker said in a Tuesday note. The company attributed the poor performance to weather issues in January and February and planned rail lane closures. March failed to show improving trends despite a seasonal boost from companies restocking spring merchandise, the analyst said. JB Hunt is still introducing low-to-mid-single-digit pricing increases in the TL (full truckload) segment, Shanker said. The company highlighted improving pressure in driver recruitment and wage inflation aside from certain regions. This "goes against the TL bear case" and bodes well for the TL sector as a whole, he said. Bullish rail investors will likely view the company's report favorably due to the pricing commentary, the analyst said. Yet there is some reason for concern related to volumes and whether Eastern rails can aggressively push prices higher at a time when the truck market is loose and rail service is poor, he said. On the other hand, JB Hunt's report could be seen as a negative for the brokers, as management highlighted negative contract pricing, Shanker said. Bottom line, JB Hunt's "bellwether status" coupled with a notable miss in its first quarter could be seen as a wake-up call for investors who may be overlooking weak data points so far in 2019, according to Morgan Stanley. 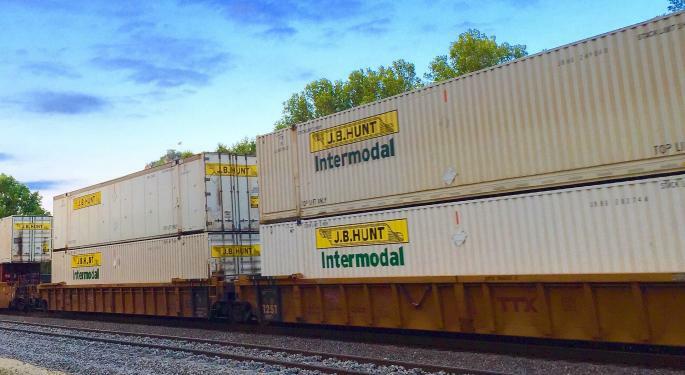 JB Hunt's longer-term growth story remains encouraging given its leading position in intermodal and a growing Dedicated Contract Services pipeline, Brown said in a Tuesday note. An increasingly cautious stance on intermodal for the back half of 2019 through 2020 is warranted due to what looks like a slowing economy and a "looser" truck market, the analyst said. JB Hunt's business is more defensive versus its peers given a unique revenue share agreement, Brown said. Yet the stock is trading at around 19 times 2019 EPS estimates, which represents a premium versus the overall transport complex, suggesting the valuation is "fair" at current levels, he said. 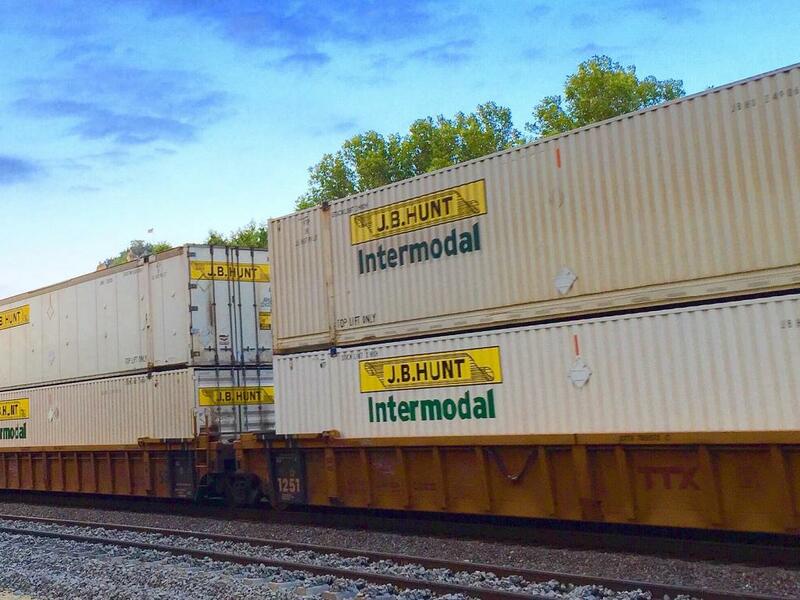 JB Hunt's earnings report showed weaker-than-expected volumes and margins in intermodal, which is most negative for Hub Group Inc (NASDAQ: HUBG) and Schneider National Inc (NYSE: SNDR), Ross said in a Monday note. JB Hunt shares were down 4.76 percent at $100.48 at the time of publication Tuesday.